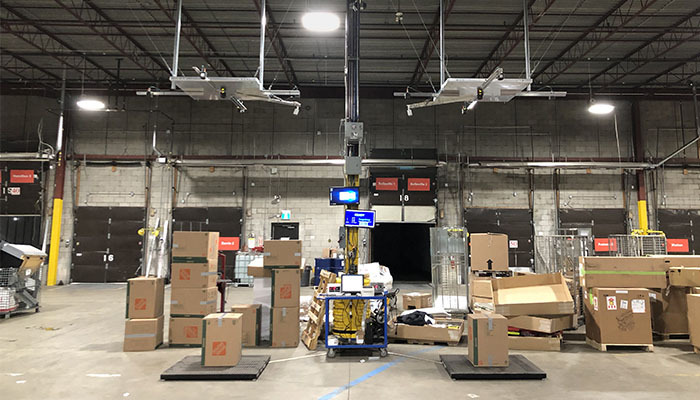 LTL, air, and parcel carriers are using automated package and pallet dimensioners to implement new dimensional weight pricing models by re-measuring and re-weighing more freight than ever before. And while the shift to DIM-weight pricing has been beneficial for carriers as it’s more reflective of their actual costs to carry goods, shippers haven’t been so lucky. Many are seeing more billing adjustments and higher rates from carriers, which has left them wondering if it’s time to automate their own measuring and weighing processes to keep up with the new policies. If you’re in the same boat, ask yourself the following three questions. You may land on an answer. 1) How much are billing adjustments currently costing you? This is probably the question that prompted you to look at freight dimensioning in the first place. If you don’t already know what you’re spending, try auditing your bills from the last year or so. We have customers that were spending thousands on adjustments each month. For them, moving to automated dimensioning was a no-brainer. If you’re in a similar situation, a parcel or pallet dimensioner can pay for itself quickly. Sometimes, in as little as three to six months. 2) Is measuring by hand slowing your process? Time is money. If your current measuring and weighing process is taking up too much time, you might benefit from switching to automated dimensioning. For some operations, a minute or two spent measuring, weighing, and entering that information into a warehouse management system isn’t a big deal. For others, a slow process can cause delays to tasks like put-away, picking, and packing, and can ultimately affect the speed with which your goods reach the end user. When integrated with freight scales and back-office systems, automated parcel and pallet dimensioners can help you shave significant time off your measuring and weighing process. If you’re spending a minute or more on each pallet now, imagine bringing that number down to just 5 or 10 seconds – all without error. How much time and money would you save? 3) Are you satisfied with your current shipping rates? If your answer is yes, you can go ahead and skip this section. But, if you’re like most and want to pay a little less, you’ll want to keep reading. One way to negotiate lower rates with carriers, is to provide them with accurate size, weight, and density information about your freight. To capture this information, we suggest dimming and weighing all your freight over the course of a few months. With a reliable picture of your freight, carriers can estimate their costs more precisely, and in turn, provide you with pricing that has less padding and guesswork built in. We’ve had clients report saving anywhere from one to five percent during negotiations after supplying carriers with accurate dimensional and weight information. The key word here is accurate. Most automated dimensioners will get you within at least one inch of accuracy. Solutions like ours are certified down to a half inch, which is considered legal for trade. On large shipping contracts, these negotiated savings can amount to tens of thousands in savings per year. Still not sure if freight dimensioning is right for you? Automated dimensioning is a smart investment for a lot of businesses, but it isn’t right for all of them. If you’re having trouble deciding what’s right for yours, feel free to connect with one of our representatives. Dimensioning is all we do, so we can quickly help you determine if it’s something that warrants a closer look.